A solar halo put on a show in Fortuna. 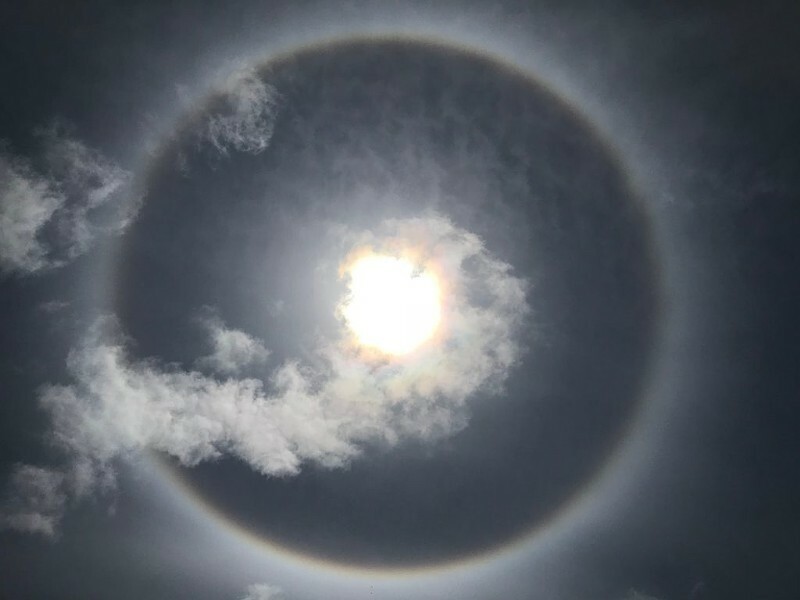 Fortuna received an especially spectacular sky show – a solar halo – this afternoon (June 5). Did you ever capture a photo of a solar or lunar halo?